44 Norman Infantry Figures, plus two casualties. 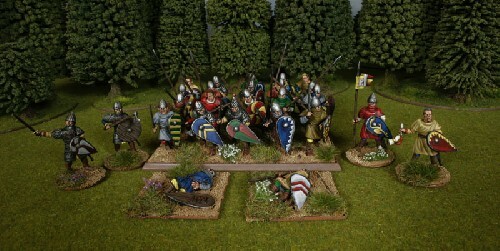 Conquest Games Norman Infantry are 28mm sized, made of plastic and supplied unpainted. Glue is required to assemble the Norman Infantry.